Chicago native hip-hop legend and Jurassic 5 frontman Chali 2na was exposed to an eclectic array of music in his earlier years, as his household was flooded with just about every genre except country. He credits his parents for inspiring and pushing him to follow his artistic dreams and he counts renowned MC Rakim and rapper-author-producer Chuck D (from Public Enemy) as his top two hip-hop heroes. Chali broke into the hip-hop scene in 1993 as one of the founding members of Los Angeles-based alternative hip-hop group Jurassic 5. Their acclaimed eponymous debut album, which was co-produced by Cut Chemist and DJ Nu-Mark, reaches a 20th-anniversary milestone this year. As a brilliant graffiti artist and painter, Chali designed the logos for the Jurassic 5 album and EP and his captivating murals are displayed all over the world. The internationally-acclaimed MC and rap artist set himself apart in the hip-hop world with his distinctive baritone vocals and remarkable rapid-fire rap style. He consistently employs literary techniques in his rhymes, such as assonance, alliterations and more and his flow is widely-regarded as one of the fastest in the hip-hop community. Chali is also notably a founding member of racially activist salsa funk band Ozomatli. The L.A.-based Latin rockers are known for fusing multiple genres in their often socially-conscious tracks including salsa, jazz, funk, reggae, and rap. In 2016, Chali teamed with iconic turntablist Krafty Kuts to produce a slew of tracks that were meticulously crafted to burn up the dancefloor. Last year, the dynamic duo of hip-hop dropped their infectious song “Hands High,” and followed its release with the international “Hands High” tour. “Hands High” offers an exciting sonic preview of what fans can expect from the creative partners’ highly-anticipated new album (Click here to listen to it). Their 2018 Adventures of a Reluctant Superhero Tour to support the album kicked off on May 11 in Brixton, London and they will perform (most likely sans capes and superhero spandex) at venues across the UK and Europe in May and June, as detailed in the tour promo video attached above. In the clip, Krafty Kuts promises "loads of new material, fantastic collaborations and a brand new show ..." Chali will also reunite with Ozomatli and The Original Wailers for an epic live show on Sept. 5 at The Mountain Winery in Saratoga, California (Click here to purchase tickets from AXS). 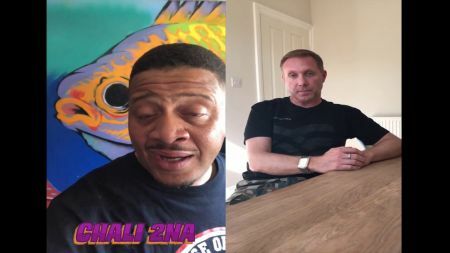 Chali 2na recently took time out from his busy tour schedule to connect with AXS via email and reflect on Jurassic 5, the evolution of hip-hop and his collaboration with Krafty Kuts on their tour and upcoming album. Read the AXS exclusive Q & A interview below. AXS: The Jurassic 5 debut album turns 20 this year! What do you remember most about how you felt when the album took off back then? Chali 2na: That whole experience made me confident that I could make a living doing what I love and not solely what I have to, to survive. AXS: What did it mean to you to receive such widespread critical acclaim for the record? C2: The critical acclaim was/is great of course, but it also taught me not to live for the recognition more than the artistic expression, if you get me. AXS: What, if any, track was your favorite Jurassic 5 track and why? C2: ThineLine. Best capture of past feelings on a track I’ve ever been a part of. And also...best beat ever done by Cut Chemist, in my humble opinion. AXS: You’re also an accomplished graffiti artist and painter—and you designed the Jurassic 5 logos on the album and EP. Where do you draw inspiration for painting? C2: I think of all that I do as art. There’s no real separation in my mind so I draw inspiration from all things occurring around me. From social commentary and political events to everyday hiccups, if you will. AXS: What are some of your favorite places you’ve painted? C2: I’ve been fortunate enough to paint in a few amazing places over my career like Amsterdam, São Paulo in Brazil, and all over England, but none equal to Bondi Beach in Sydney Australia. AXS: What has been your favorite or most meaningful painting project? C2: I just completed an oil painting dedicated to children and gun violence in many different instances across the planet. It’s designed to provoke those thoughts at any rate. But I do believe it’s the heaviest painting I’ve done in terms of content. AXS: How would you describe the evolution of hip-hop since Jurassic 5 dropped? C2: Hip Hop has/always will be driven by the youth. So, I think what we hear now is a reflection of that. These kids nowadays don’t know life without the internet and we all know how powerful the internet is in terms of influencing the minds of youngsters. AXS: What are some of the biggest changes you’ve noticed in the genre in the current hip-hop landscape? C2: They don’t have the desire to learn where it all started which makes them not care about anything before them. But I do believe Hip Hop lacks leadership and the elders are too busy condemning the young and not making themselves available to teach if necessary. AXS: In what ways do you think artists are taking more creative risks than when you first broke onto the scene? C2: It seems to me like there are less creative risks being taken, to be honest. It’s more acceptable to sound just like the last thing that was a hit than to risk pushing the envelope in these days. AXS: Who are some current or emerging hip- hop artists you are excited about and/or who should we keep an eye on? C2: Right now, I’m listening to a young sister from Jamaica 🇯🇲 called Koffee. She’s an amazing lyricist and singer who in my opinion is beyond her years for sure!! AXS: You’ve worked with a huge lineup of fellow MCs and artists. If you could assemble a “dream team” of artists you’ve not yet worked with, who would be on it? C2: Bob Marley, Peter Tosh, BunnyWailer over a Dilla Beat. AXS: “Hands High” is such a fantastic, feel-good track! Can you tell us a little about the story behind the song and how your collaboration with legendary turntablist Krafty Kuts came about? C2: We met through mutual friend Nick Middleton from the Funk Hunters. Krafty wanted me to hear a beat for a long time and for some reason he tried and failed at getting the beat to me. But Nick was able to since I was on tour with him at the time. Long story short, we went to Krafty’s studio and got straight to work on that beat. Hands High was the result. AXS: What excites you most about joining forces with him? C2: A fresh new attempt at making a great hip hop album but from a UK perspective this time excites me. AXS: There’s a lot of buzz and excitement surrounding your upcoming album! What was your favorite part of the creative process? C2: Having no expectations and coming out on the other side of it all with a bunch of killer songs and no filler songs. AXS: What details can you tease/what can fans expect from the record? C2: We are basically using Hip Hop to tell the story of a couple of Reluctant Superheroes from the perspective of their alter egos. Tackling some important issues but having fun like we use to with the music. AXS: What do you hope fans take away from it? AXS: You’re going on a massive tour together! What can fans expect from your live set? C2: High energy and a full-on celebration of Hip Hop!! AXS: You’re also reuniting with Ozomatli and The Original Wailers for a show at The Mountain Winery in Saratoga, California this September. What are you most looking forward to about reconnecting with them and performing at this show? C2: Those are my brothers. It’s like a family reunion when I’m with them and it’s our 20th anniversary so we’ve prepared some special treats for our long-time fans. AXS: Looking back at the wisdom you’ve gained across your prolific career, what advice would you give aspiring MCs/hip-hop artists who are trying to catch a break? C2: Be true to yourself. Don’t let what you think you should do because of outside influences dictate the content of what you create. 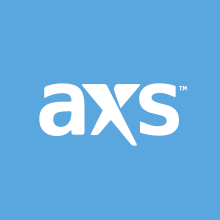 AXS: Is there a key ingredient for success? Follow @Chali2na on Twitter, Facebook, YouTube and Instagram and visit his website and SoundCloud page. Stay tuned to AXS for Chali 2na news and updates.